Let’s Be A Part of National Grange this November. As I am sure you know, National will be meeting in the Northeast this fall. 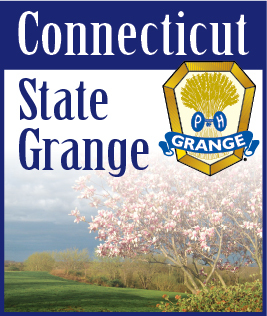 The 152nd Annual National Grange Convention will be held November 13-17, 2018 at the Stoweflake Mountain Resort & Conference Center in Stowe, VT. This is a great chance for Connecticut to show off their talents. I want to urge everyone with any type of talent to enter our Talent Contest. The winner (or runner-up if the winner can’t make it) will represent us at the Evening of Excellence. They will also be asked to perform at our State Session Banquet where they will be presented with a check from the Lecturers’ Travel Fund to help defray their expenses. I know we have some great talent in Connecticut. The State Level Judging will be held on June 10th starting at 1:00 p.m. at Cheshire Grange Hall, 44 Wallingford Road, Cheshire. Please plan ahead and save that date. The booklets prepared by your Northeast State Lecturers are all in the mail. If your Lecturer hasn’t received theirs, please let me know. This booklet covers many topics – both serious and comical. We’re trying to make presenting a good program that will bring out your membership as easy as possible. Hopefully better weather is coming and I will be seeing you around the State.